Why have a Diathermy treatment at Therapy House? Short wave diathermy can quickly and effectively improve – and often remove – common skin problems and blemishes such as warts, skin tags, Dermatosis Papulosa Nigra, and thread veins. During this treatment, we use a fine, hair-like needle to conduct a tiny energy current into broken capillaries, causing them to dry up, collapse and disappear. Short wave diathermy offers an affordable alternative to other vein removal techniques. You shouldn’t need to take any downtime for this treatment and yet the results are long-lasting. What is Short Wave Diathermy and what issues can it treat? Facial thread veins – the permanently dilated capillaries commonly seen on a maturing ‘English rose’ complexion; caused by anything from smoking to pregnancy or harsh weather exposure. Blood spots – slightly raised, bright red blemishes just under the skin’s surface; usually on the torso. Skin tags – these often appear on the face and neck and vary in size from smaller than a grain of rice to a pea or larger. Milia – the tiny, hard white lumps just under the skin, often around the eyes. 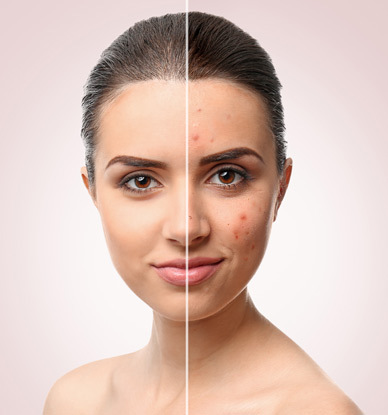 Warts – there are various types, all of which can be easily and successfully treated. Dermatosis Papulosa Nigra – a common adolescent disorder on black skin; identified by smooth, dome-shaped papules on the cheeks, neck and upper chest. What happens during a diathermy treatment? Before your treatment begins, we will apply a local anaesthetic cream to numb your skin. Then we use a single-use fine, hair-like needle to conduct a small electrical current to specific thread veins or blemishes. The current heats up the blood in the targeted veins, sealing them shut and causing the vein to break down. After the treatment, your skin will be slightly pink from the heat and may be a little puffy in areas, although this will settle in a few hours. On day two or three post-treatment, you may notice tiny scabs forming but they will quickly fall off. How soon should I be able to see the results of my diathermy treatment? While the veins will disappear immediately, they are still healing and the final results will only be seen after four to six weeks. At this point, we will review the results to determine whether you would benefit from a second treatment. Once we have destroyed a thread vein or blemish, it won’t come back. However, you may find that new thread veins develop in the future, which is why it’s important to wear sunscreen to protect your skin from sun damage. In most cases, there is a 95% success rate for thread vein and blemish removal with short wave diathermy. After a short wave diathermy treatment, your skin may look pink or puffy in more sensitive areas, but this should self-correct with a few hours. Other side effects are uncommon, especially in the hands of an experienced practitioner. The number of treatments you will need will depend on the problem and how your skin reacts. We will be able to give you a much better idea about the technique we plan to use and treatment intervals after your initial consultation. After any treatment, we’ll give you detailed aftercare instructions that relate to your procedure, so you know what to do and what to expect. Generally speaking, you shouldn’t wash the treatment area with soap and water for 72 hours; it is best to use a gentle cleanser instead. Avoid sun exposure for two weeks, and try not to touch the area as it should not be stretched or scratched. Want to know more about Diathermy?